Have you put off printing those hundreds of photos stuck in your cellphone? With the Photo Printer Dock PD-450 by Kodak, you can create beautiful 4" x 6" prints with the simple press of a button. This innovative dock is a charger and printer in one, letting you power your various devices while bringing every snapshot to bold, vivid life. Easy print technology means you won't need to transfer files to a computer or memory card. Just plug in your Android phone via the 5-pin dock, or hook up your iOS device with the lightning charger. Press "One Touch," watch the Kodak app launch, and print a standard sized print in an instant. This smart gadget is also fully compatible with your devices via the built in Wi-Fi network. 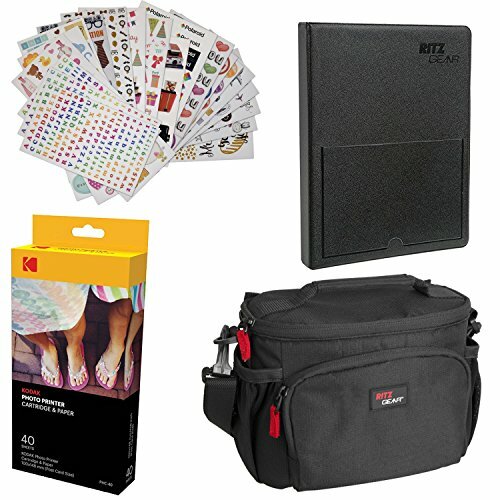 It Also allows direct printing from your digital camera with PictBridge® technology. You'll also love adorning your pics with the app's free editing features, including tons of filters, stickers, card templates, and beyond. With this cool, compact, printing your camera roll is fun again! A charging dock that prints on the pin!